Annual Conference - Coming in April! The NYSMATYC annual conference will be held April 12-14 in Corning, NY. The conference theme is "Collaborations!". We're currently looking for presentation proposals. Please visit the conference website for more information! Please visit the Members Section to view the Spring 2019 NYSMATYC Newsletter. 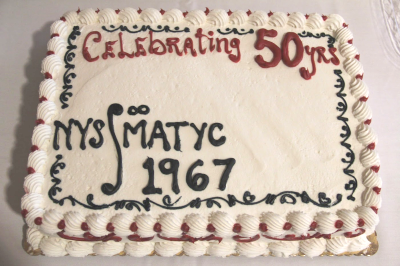 NYSMATYC is proud to provide scholarships for deserving students across New York State. Please check out our scholarship page for timely information, including applications and recommendation forms.